Noru Ka Soru Ka is a Japanese expression translated as "bend or break." It hints at risk taking and going with the flow. 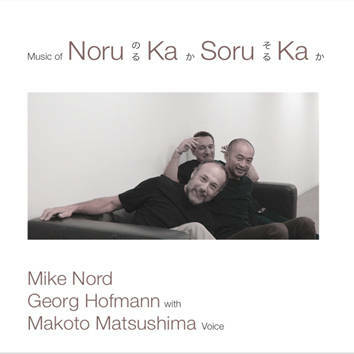 In 2006, while performing in Japan, Mike Nord (guitar, electronics) and Georg Hofmann (drums, percussion) met the Japanese dancer and singer Makoto Matsushima. Now in its seventh year Noru Ka Soru Ka performs with a collective approach. Performing with no preset plan, the musicians push each other to new heights of expression. Makoto's unique way of singing adds a totally unexpected dimension to both the structure and the sound of music.